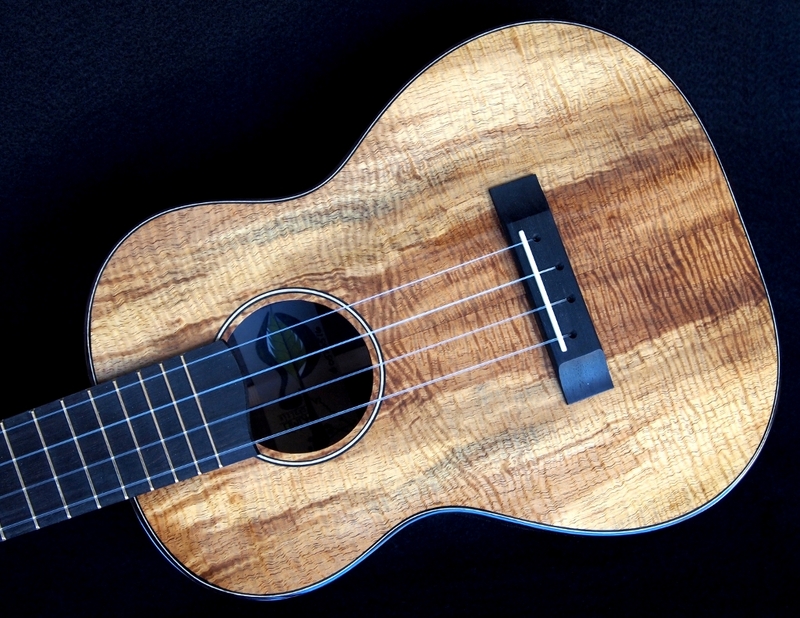 Here’s another of my Custom Tenor Ukulele featuring alternative woods. 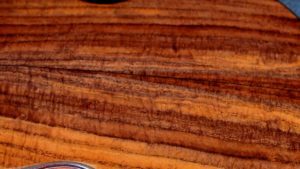 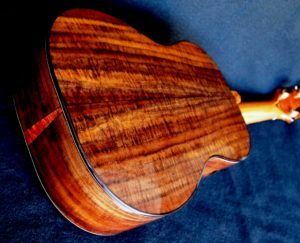 I’ve used the last of this particular set of Claro Walnut for back and sides and the second and last set of a very unusual, curly Koa for the sound board (see “Moonscape Myrtle“, two posts previous). 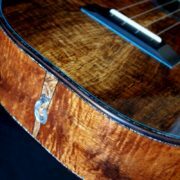 I’ve never seen this “look” in Koa previously and don’t expect to see it again. 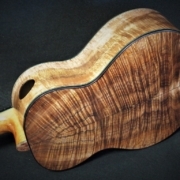 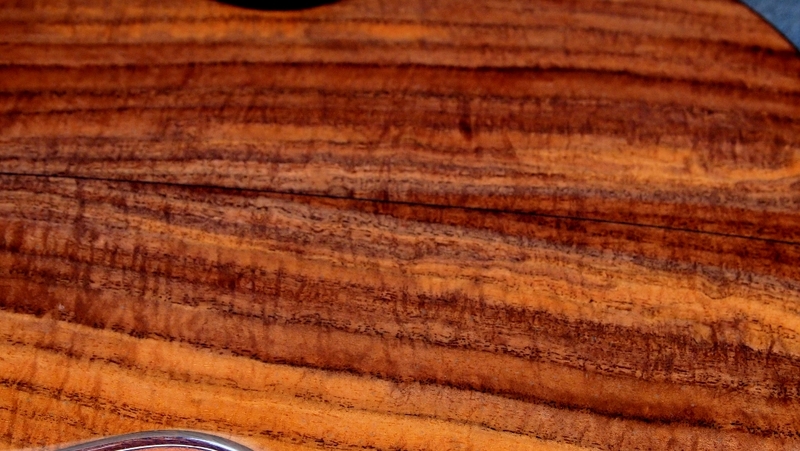 I really like this combination of woods and this one in particular because the density of the woods is such a close match–in fact, I’ll bet this Koa top is on a density par with Engleman Spruce. 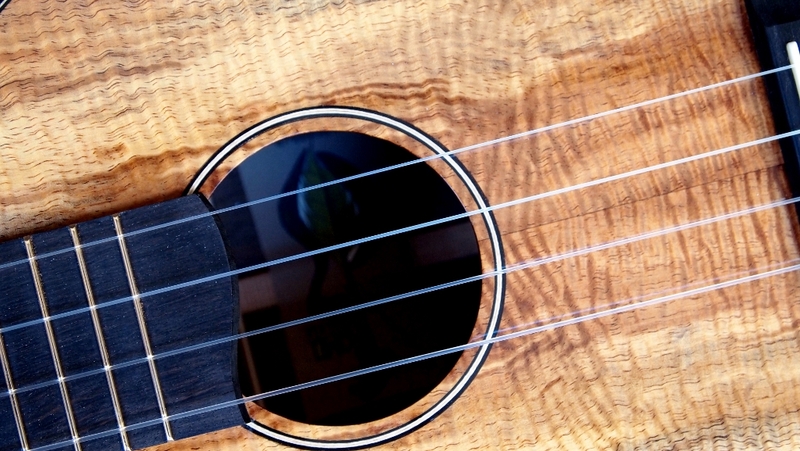 The resulting sound is big and warm with a lot of mid-range tonality–much like some of the older Martin guitars. 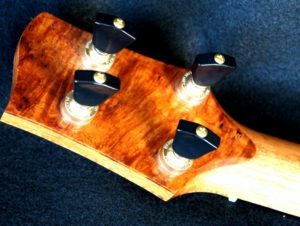 These instuments are vey easy to play and provide a very pleasing sound to anyone–novice or professional. 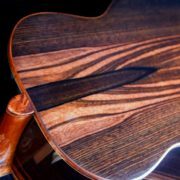 It’s pretty much of a straight foreward build: the India Rosewood for binding with white/black maple purfling are understated but a perfect match. The neck is Honduran Mahogany with the internal carbon fiber truss rod. The accent wood is Vanuatu Maidou Burl. 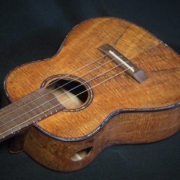 I rigged this one, as usual, with GHS flourocarbon low”G” strings. Sacramento Dan is the new owner–He’s already got another of my instruments but this one should be a pleasant compliment!